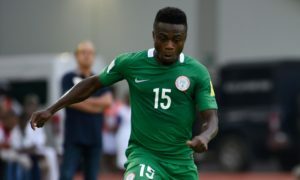 Levante forward Moses Simon has played down talks about a brewing competition for a spot on the flanks with Bordeaux forward Samuel Kalu when the Super Eagles converge for their game against Libya. 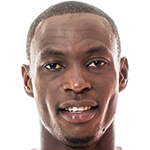 Simon missed the World Cup due to an injury picked up in training before the tournament and in his absence enforced by recovery from another injury, his former teammate Samuel Kalu got the nod to play and he ‎did impress in the AFCON 2019 Qualifiers tie against Seychelles. Both players were named in the list of players for the game released by coach Gernot Rohr and Simon who played with Kalu at Belgium side Gent before they both left this summer said their is no competition between them. “Kalu is more than a friend. He is my brother; we can’t be seen to be in a competition for position on the pitch due to our closeness off the pitch. We can play together on either flanks”, Simon said. ”If we don’t get to play, whoever that is selected will get the backing of the other. My presence will help him a lot, he knows what I can do, so he will be at his best in training and even if he gets selected to play”, Simon concluded.